The major progress of aircraft and aerospace technology is greatly possible due to the advancement and production of aluminum alloys, metals like stainless steel and even plastics. Our history shows that the Wright brothers used aluminum in the engine of their first biplane and up to NASA’s use of an aluminum-lithium alloy in the new Orion spacecraft. Metal development like stainless steel and specially aluminum, has created the potential for humanity to fly both around the Earth and into space. Buymetal.com specializes in aircraft metals and plastics for the aviation industry including aviation aluminum high strength, corrosion cracking resistance alloys adjusted to aerospace applications. 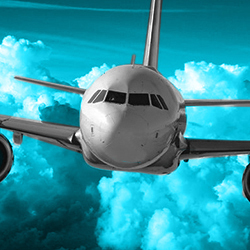 Here you will find our full range of materials for the aerospace industry including plastics, stainless steel and aluminum alloys, tempers, gauges, diameters, and profiles.